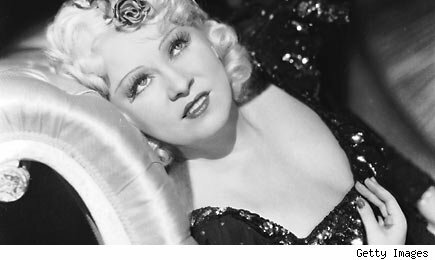 "Too much of a good thing can be wonderful," said film star Mae West. But what about too much credit? Is having a lot of credit a wonderful thing as well? There are a couple of different ways to look at each of those items. The first, of course, is how that factor will be considered when a credit score is calculated. Will it help or hurt your credit score? The other is how a lender might view that individual factor. Remember, lenders can supplement scores with their own standards. When you get a mortgage loan, for example, the lender will likely look at your credit scores and your debt-to-income ratios. Let's look at each of those three factors a little more closely. Yes, you can have too much debt, but how much is too much depends on the type of debt and who's asking the question. According to FICO, the debt you carry makes up about 30% of your score. That category includes things like the amount you owe on specific types of accounts, the number of accounts with balances, the proportion of credit lines used (proportion of balances to total credit limits on certain types of revolving accounts -- often referred to as "utilization"), and the proportion of installment loan amounts still owing (proportion of balance to original loan amount on certain types of installment loans.) If your curious about how your debt is affecting your credit score, Credit.com's Credit Report Card will show you for free. While that sounds like a mouthful, the bottom line is that paying off debt doesn't hurt your scores and can save you money in interest. Since credit cards often carry higher interest rates than installment loans like auto, mortgage, or student loans, paying your credit cards off can improve your cash flow and may even help your credit scores. What about students who graduate with $25,000 or more in student loan debt? Will that hurt their scores? "No," says Barry Paperno, a credit industry veteran and Credit.com's Community Director. (He's talking about FICO scores in particular here.) "While the amount of revolving debt (credit cards, for example) figures very prominently in credit scoring, the same cannot be said for installment debt. How you pay and the length of time you've had an installment loan can strongly impact the score, but the amount you owe does not -- as long as it's being paid on time." Three auto loans? Seven credit cards? Four mortgages? Eight student loans? None of these are completely unrealistic scenarios these days. A household where Mom, Dad and one of the kids has a car may easily have three car loans. Someone who bought a rental property during the real estate boom could have four mortgages: two on the home they live in and two on their rental property. And recent college grads may have a half dozen or more student loans. But how many is too many? If there is an optimal number, you're never going to know what it is since it is part of a sophisticated and proprietaryalgorithm. And even if you had a specific number of accounts to shoot for, you would still be stuck with the accounts you have on your report since closing accounts doesn't make them disappear. "While not a heavily weighted part of scoring, there are 'optimal' numbers of accounts of varying types (revolving, installment, etc.) the scoring formula looks for, based on your overall credit profile," says Paperno. When above or below such optimal numbers of accounts, you can lose a few points off your score. These scoring factors do not, however, take into consideration whether an account is open or closed --- only that they appear on the credit report. Bottom line, this is one of those things that's just not worth getting stressed about. If you have a lot of accounts already, lay low for a while and don't open more unless you really need the loan (a new auto loan so you can replace your clunker, for example, or a low-rate personal loan to pay off a high-rate credit card). In the scheme of things, how you manage your payments on your accounts is the most important factor, and well within your control. This is one of the questions we get all the time at Credit.com. Consumers wonder if they should close some of their credit cards because their total credit limits are so high. They worry that lenders must see that as risky: After all, if they decided to suddenly use all that credit they could really get into trouble. "No, there's nothing about having a lot of credit available that can hurt your score," says Paperno. "In fact, all other things being equal, more revolving credit availability can, for some, mean a lower credit utilization ratio (balances compared to credit limits), which can actually help the credit score." So if your credit card issuers have been especially generous with your credit limits, don't worry that those high limits will tank your scores. Want proof that you can have a lot of credit and a great score? Read about Scott Bilker who has 50+ credit cards and a great credit score. What's a Credit Score? Really. What's Really in Your Credit Report? How Do Debt Relief Options Affect Your Credit? Gerri Detweiler, Credit.com's, Personal Finance Expert, focuses on financial legislation, budgeting, debt recovery and consumer savings information. She is also the co-author of Debt Collection Answers: How to Use Debt Collection Laws to Protect Your Rights, and Reduce Stress: Real-Life Solutions for Solving Your Credit Crisis as well as host of Talk Credit Radio. Reach Gerri at creditexperts@credit.com. Gerri Detweiler Credit.com's Personal Finance Expert, Gerri focuses on financial legislation, budgeting, debt recovery and consumer savings information. She is also the co-author of Debt Collection Answers: How to Use Debt Collection Laws to Protect Your Rights, and Reduce Stress: Real-Life Solutions for Solving Your Credit Crisis as well as host of TalkCreditRadio.comTalk Credit Radio. Reach Gerri at creditexperts@credit.com.